David Orr Belcher of Cullowhee, NC, died on Sunday, June 17, at the age of 60. A native of Barnwell, SC, David was predeceased by his parents, Jean Orr Belcher and Posey Belcher, Jr.
David was a graduate and valedictorian of Barnwell High School (1975) and held degrees in piano performance from Furman University (B.M., 1979), the University of Michigan (M.M., 1981), and the Eastman School of Music at the University of Rochester (D.M.A., 1989). He studied in Vienna, Austria, for two years, funded in part by a Rotary Foundation Graduate Fellowship. 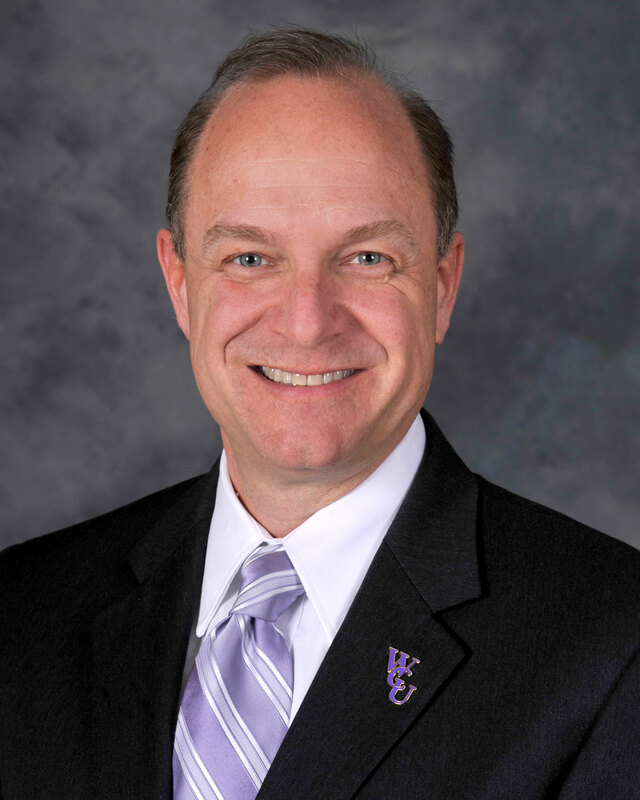 Since 2011, David served as chancellor of Western Carolina University (WCU). During his tenure, David energized his university community to work with regional leaders to serve the needs of Western North Carolina (WNC), a combined effort that resulted in WCU all-time highs in student achievement, enrollment, retention and graduation rates, in student and alumni engagement and in philanthropic giving. His legacy at WCU includes support and implementation of two pivotal statewide initiatives that will greatly enhance public higher education in WNC: 1) the NC Promise tuition program that dramatically lowers student college costs and 2) his efforts toward the successful passage of the Connect NC Bond, which included $110 million in funding for WCU’s Apodaca Science Building, a state-of-the-art STEM facility that will prepare students for 21st century professions. In addition, his support for the consolidation of WCU economic-growth oriented graduate and undergraduate programs at a new instructional site in Asheville represented an unprecedented strategic investment in economic development opportunities for the WNC region. Prior to his appointment at WCU, David served at the University of Arkansas at Little Rock (2003-2011) as provost and vice chancellor for academic affairs, and at Missouri State University (1988-2003), first as coordinator of keyboard studies in the Music Department (1989-1992), then as assistant dean (1993) and dean (1994-2003) of the College of Arts and Letters. A champion of public service, David served on key Boards of Directors, including the My Future NC Commission on state educational attainment, the NCAA Division 1 board on intercollegiate athletics, the North Carolina Arboretum, and the Winthrop Rockefeller Institute in Arkansas. He was also the founder and five-year director of the statewide Missouri Fine Arts Academy. David was a passionate and committed believer in the power of education. His message, “We are in the business of changing lives,” became both an inspiration and a challenge to those sharing his commitment. David enjoyed travel to experience new cultures and was an avid gardener. Many remember his infectious laugh, quick wit, and energetic leadership style. Surviving David are his wife of fourteen years, Susan Brummell Belcher, his brother Philip Burgess Belcher and wife Kelly of Asheville, NC, his sister Elizabeth Belcher Mixon and husband Ben of Rock Hill, SC, and his sister Miriam Belcher Ponder and husband Dean of Huntersville, NC. He is also survived by his aunt, Martha White of Allendale, SC and nephews and nieces, Owen Belcher and wife Olga Shupyatskaya, Kera Belcher, Sarah Mixon, Eleanor Mixon, and Noah Ponder. Susan Belcher wishes to thank family, friends, and colleagues for their caring support, as well as the medical teams of Duke University Medical Center and Cancer Care of WNC. In lieu of flowers, David and Susan request that memorials be directed to the foundation endowments of Western Carolina University, Furman University, the University of Arkansas at Little Rock, and Missouri State University.